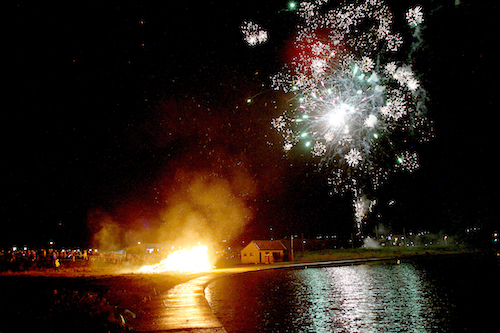 The annual Kirkwall bonfire and fireworks display, due to be held this Saturday, has been postponed, due to a poor weather forecast. it is suspected that it would not be safe to hold the event on that evening. The Rotary Club of Orkney, who organise the event along with Kirkwall and St Ola Community Council, have said they hope to be able to hold the event the following weekend instead. Next Post>Whit’s on this Guy Fawkes weekend?